We love making salmon tacos but we’re always left with half a can of chipotles in adobo sauce and aren’t quite sure what to do with them. Last time we made them, I also had some chicken thighs in the freezer that needed to hit the road and decided that burritos sounded like a great idea. I looked some for a recipe on allrecipes.com, but in the end came up with my own recipe. Here goes! 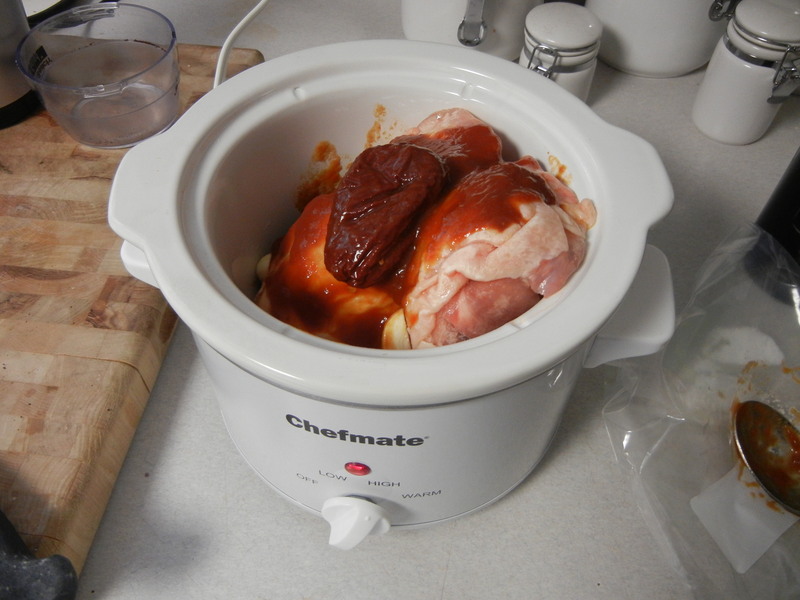 Throw them all in a crock pot and cook on low until the chicken is thoroughly cooked and falls off the bone. Note: This takes a little while. I think I left it in there for about 5 hours, stirring every once in a while. 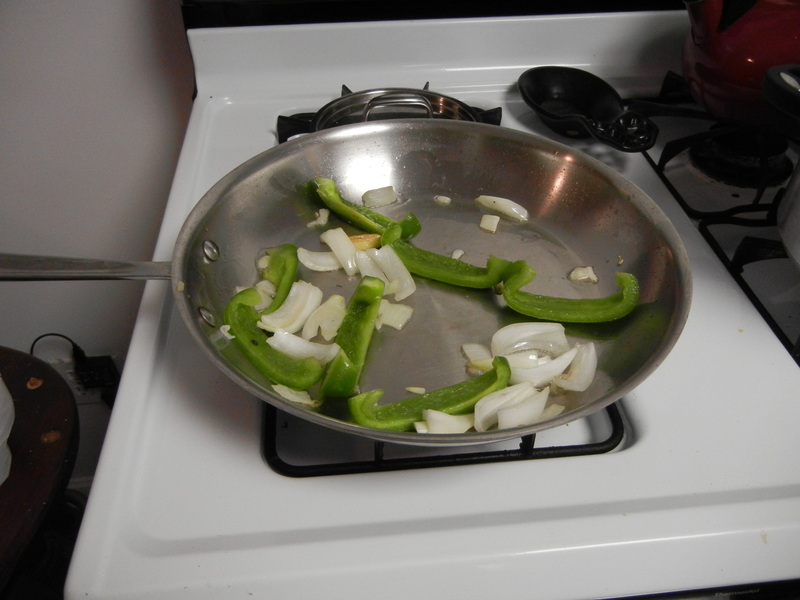 When the chicken was ready, I sauteed some green peppers and onions. Next, I added the chicken and some quartered fresh cherry tomatoes to the skillet just until the tomatoes were heated. Then we layered rice, black beans I had whipped up in the pressure cooker and the chicken/pepper mixture on a tortilla that had been steamed slightly in our rice cooker. Microwaving for a few seconds would work, too. 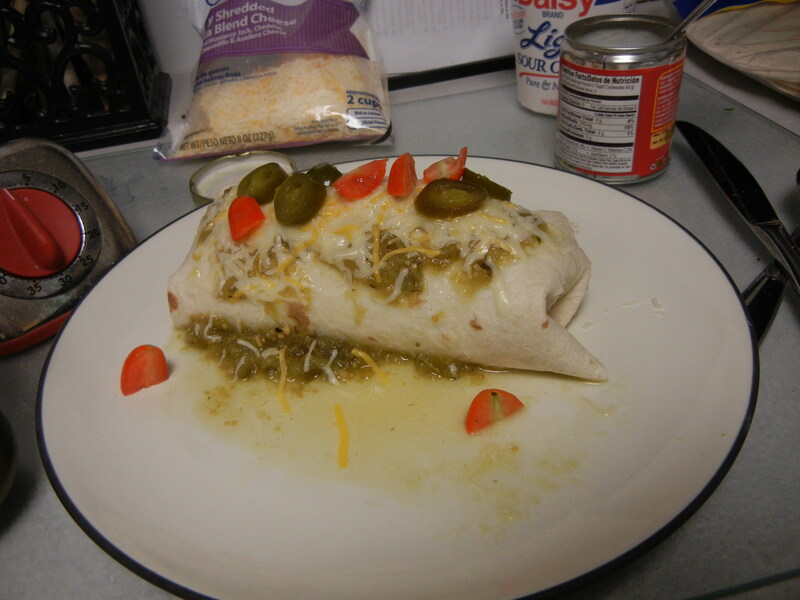 Heating the tortillas makes them stick to themselves a bit better, so when you roll up your burrito, it stays that way. 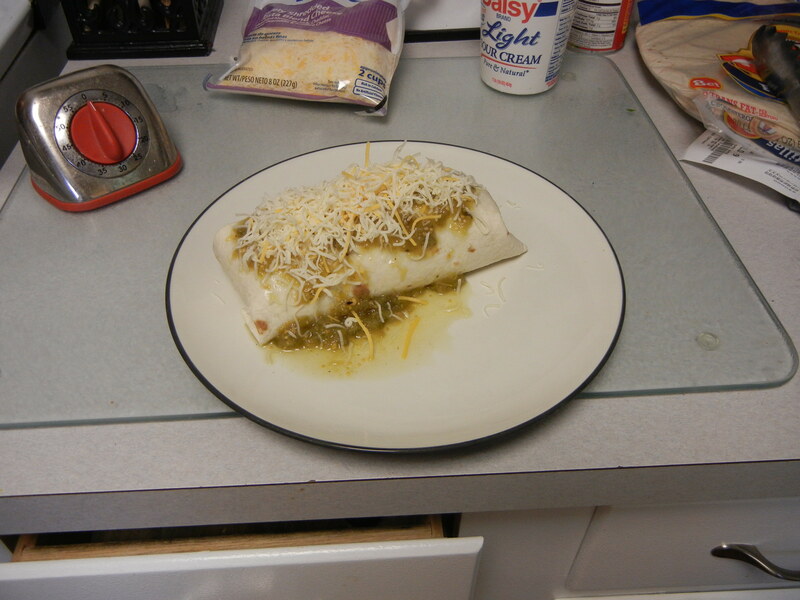 After we rolled the burrito, we smothered them in green chile sauce and cheese and microwaved them just long enough to melt the cheese.